3M™ Petrifilm™ Salmonella Express Plate is a sample ready media for detection of Salmonella. Plate provides presumptive positive Salmonella results in as little as 40 hours for low-background, processed foods and 48 hours for high-background, non-processed foods. The 3M™ Petrifilm™ Aerobic Count Plate is a time-saving, sample-ready plate designed to determine total aerobic bacteria populations. Aerobic Count results in 48 hours. A built-in grid facilitates counting colonies, helping to provide fast, precise and consistent results. Each 3M Petrifilm Aerobic Count Plate contains a water-soluble gelling agent, nutrients and indicator — all the components needed for microbial growth with no agar preparation required. The 3M™ Petrifilm™ Lactic Acid Bacteria Count Plate is a time-saving, sample-ready plate designed to determine total lactic acid bacteria populations in food and environmental samples. Self-contained anaerobic environment enabled by oxygen-scavenging technology and oxygen-barrier films. No gas packs, chambers, or CO₂ incubators needed. Results in 48 hours of incubation time. 3M™ Petrifilm™ Coliform Count Plates provide a cost-effective, convenient and reliable method for testing equipment, raw materials, food products and manufacturing environmental samples. The 3M Petrifilm Coliform Count Plate is a sample-ready-culture-medium system which contains Violet Red Bile (VRB) nutrients, a cold-water-soluble gelling agent, and a tetrazolium indicator that facilitates colony enumeration in food and beverage samples. These plates provide total coliform count information with confirmed results in just 24 hours. The 3M™ Petrifilm™ High-Sensitivity Coliform Count Plate accommodates 5 mL samples and detection of low levels of confirmed coliforms in 24 hours. This allows a 1-coliform-per-gram sensitivity if a 1:5 dilution of product is made. A 2-coliform-per-gram sensitivity is achieved if a 1:10 dilution is used. Whether testing milk, ice cream, cheese, or other food products, testing labs can benefit from the labor savings of 3M Petrifilm Plates. These plates reduce overall testing costs and allow producers to easily conform to higher sensitivity standards. 3M™ Petriﬁlm™ Aqua Coliform Count Plates are sample-ready media plates used to measure coliform levels in bottled water. 3M™ Petriﬁlm™ Aqua Coliform Count Plates deliver reliable testing results for your bottled water. Each plate contains a water-soluble gelling agent, nutrients and indicators in a dry, shelf-stable format. The indicator dye colors all colonies red, and the top film traps the gas produced by the coliforms. Gas trapped around red coliform colonies indicates confirmed colonies. Confirmed coliform results in 24 hours. 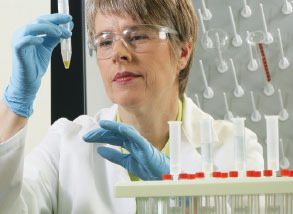 3M™ Petrifilm™ E. coli/Coliform Count Plates provide a cost-effective, convenient and reliable confirmation method for testingequipment, raw materials, food products and manufacturing environmental samples. The 3M Petrifilm E. coli/Coliform Count Plate is a sample-ready-culture-medium system which contains Violet Red Bile (VRB) nutrients, a cold-water-soluble gelling agent, an indicator of glucuronidase activity (BCIG), and a tetrazolium indicator that facilitates colony enumeration in food and beverage samples. These plates provide both E. coli and total Coliform Count information with confirmed results in just 24-48 hours. 3M™ Petrifilm™ Enterobacteriaceae Count Plates enumerate coliforms plus potential pathogens and identify contamination. 3M™ Petrifilm™ Enterobacteriaceae Count Plates enable you to quickly determine potential sources of contamination. This plate enumerates all coliforms as well as potential pathogens such as Salmonella, Shigella and Yersini. Confirmed Enterobacteriaceae results in 24 hours. 3M™ Petrifilm™ Environmental Listeria Plates detect the presence of Listeria in environmental samples. A sample-ready culture medium containing selective agents, nutrients, a cold water-soluble gelling agent and a chromogenic indicator. This is designed to analyze environmental samples and help increase the efficiency of monitoring plant sanitation. Rapid results in 27-31 hours from sample collection. 3M™ Petrifilm™ Staph Express Count Plates provide confirmed Staphylococcus aureus results. Confirmed Staph aureus appears as distinctive red-violet colonies. Results in 24 Hours. If you encounter high background flora in your staph testing, the 3M™ Petrifilm™ Staph Express Disk can be used to identify Staph aureus from all suspect colonies.